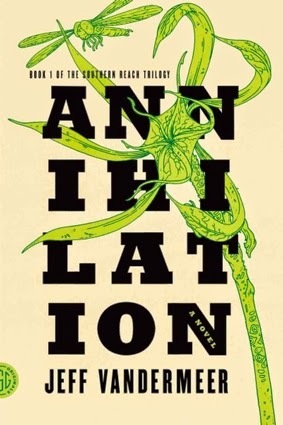 My Valentine's gift to myself was one of the books I was actually looking forward to reading, Annihilation by Jeff Vandermeer. I picked up a volume that has all three novels in the trilogy, and I've actually already finished the first one and the second, Authority. I think anyone who likes books or thinking should read these books. Probably also you should give it a go if your human. And if you're another literate being outside of that, you should give it a go, too. Vandermeer's writing is so well-crafted, and the story so creepily captivating, that reading it feels a little bit like having it worm into your mind and drive you a little insane. It's centered around something called Area X, a mostly impenetrable area that popped up in an otherwise unremarkable section of coast about thirty years prior to the start of the first novel. That's all I'm going to say, this is one of those times when going in blind makes it that much more enjoyable.